MISSOULA, Montana, August 5, 2010 (ENS) – A federal judge today ruled that gray wolves in Montana and Idaho must be granted the same protections under the U.S. 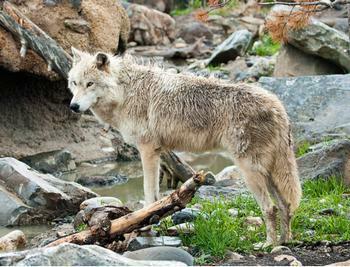 Endangered Species Act as apply to gray wolves in Wyoming. In a lawsuit brought by conservation groups, Judge Donald Molloy overturned the U.S. Fish and Wildlife Service’s decision to remove gray wolves in Montana and Idaho from the endangered species list. The court found that the Service’s decision to define Northern Rockies wolves as two distinct population segments in order to exclude wolves in Montana and Idaho from the endangered species list is illegal because it is political determination, not a biological one. Wolves in the Idaho and Montana lost federal protection under regulations proposed during the Bush era that took effect after Barack Obama became President. Those regulations placed wolf management in the hands of the states if they had management plans acceptable to federal wildlife officials. In their lawsuit, 14 conservation groups argued that this piecemeal approach violated the Endangered Species Act, and today Judge Molloy agreed. “The Endangered Species Act does not allow the U.S. Fish and Wildlife Service to list only part of a ‘species’ as endangered,” Molloy wrote. Wolves, the judge ruled, “can be endangered wherever they are within the range” of the distinct wolf population covered by federal protections. His ruling takes wolf management away from the states and places it once again under federal jurisdiction. “And we are willing to work with the states and other stakeholders to ensure that wolves and other imperiled wildlife are managed based on sound scientific principles,” she said. But Montana wildlife officials criticized Judge Molloy’s decision and said they would appeal it to a higher court. Meeting in Helena today, the Montana Fish, Wildlife and Parks Commission officially asked the state agency to immediately appeal the ruling to the 9th Circuit Court of Appeals and to seek state management options from the U.S. Fish and Wildlife Service. “Since wolves in the Northern Rocky Mountains are now again subject to ESA protection, in the days ahead we will work closely with Idaho and Montana to explore all appropriate options for managing wolves in those states,” Strickland said. Montana officials say the wolf population in the Northern Rocky Mountain Recovery Area, which comprises parts of Montana, Idaho, and Wyoming, is estimated to be at least 1,706 animals, with 242 packs, and 115 breeding pairs at the end of 2009.